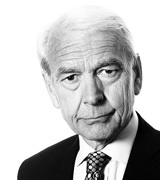 John Humphrys - Syria: How Should We ‘Challenge’ the Use of Chemical Weapons? April 13, 2018, 12:59 p.m.
Britain is poised to join the United States and France in taking action against Syria for its alleged use of chemical weapons against its own civilians last weekend. The Cabinet has backed the Prime Minister in her determination that this ‘barbaric’ use of chemical weapons should ‘not go unchallenged’. But how effective could any challenge be? What form should it take? And what are we to make of the claim by the Russians that it was another (unnamed) country behind what it called a “staged event”? It claimed there was no evidence of any chemical attack. And if the government does decide to take military action should MPs be allowed to have the final say? The allegation is that dozens of Syrian civilians, including children, were killed in Douma, which was a rebel stronghold in eastern Ghouta in its final throes. Hundreds were injured. Images of people foaming at the mouth and suffering severe burns to their skin suggested they had been the victims of an airborne chemical attack, probably involving a combination of chlorine and a nerve agent. It was just the latest atrocity in the civil war that has been ripping Syria apart for years and responsibility for the outrage was immediately levelled by Western leaders at the regime of Bashir al-Assad, the Syrian president. He denied any involvement saying the West’s claims were a ‘provocation’. We have been here before. When the Syrian civil war first erupted President Barack Obama, no doubt with the quagmires of American intervention in Afghanistan and Iraq much in mind, decided that the United States would not involve itself militarily in the conflict. But he declared that if the Syrian regime used chemical weapons against its own citizens, and in breach of its obligations under international law, a ‘red line’ would be crossed and America would have to think again. When, in 2013, Assad did use such weapons, President Obama proposed joint military action with America’s allies, including Britain, but the government of David Cameron was defeated on the issue in the House of Commons and President Obama himself stepped back from military action. Instead he accepted an offer from Syria’s ally, Russia’s President Putin, to broker a deal in which Syria’s stockpile of chemical weapons would be surrendered. This was supposed to have been accomplished. But last April the Syrian regime once again used chemical weapons against its citizens in Khan Sheikhoun, killing around eighty people. President Trump responded with a cruise missile attack designed to deter any further use. But if last weekend’s atrocity at Douma was indeed a chemical attack perpetrated by the Syrian regime, it’s clear the deterrent hasn’t worked. To some people, the West’s outrage at the use of chemical weapons seems strange. After all, they point out, the Syrian civil war has been marked with barbarity on all sides and if you are a civilian victim of your government’s firepower, it doesn’t much matter whether it comes in the form of barrel bombs or chemical weapons. Both are unspeakable. If the West were really concerned, they say, they would have intervened militarily to take on the Assad government. But there is a reason why the West has seen the use of chemical weapons as a ‘red line’. It’s because the banning of these weapons has been one of the successes of the use of international law in disarmament. The first treaty to ban their use goes back to 1925, following the horrors of their use in the First World War. Subsequently the 1993 Chemical Weapons Convention enforced the ban and it is the wish to uphold this and stop chemical weapons once again becoming widely-used that motivates the insistence that the event last weekend in Douma ‘cannot go unchallenged’. The problem is how to do this in a way that is not just a gesture, as President Trump’s response to Khan Sheikhoun would now seem to have been. No one is now suggesting that the West fully engage itself in the Syrian Civil War, not least because, following President Obama’s abstention from the conflict, Russia has filled the vacuum, becoming Assad’s chief backer and providing him with substantial military support, including Russian personnel and aircraft on Syrian soil. To take on Assad would be to take on Russia with the obvious danger that conflict could escalate out of control. The phrase ‘World War Three’ has started to be uttered over the last week. Unsurprisingly, President Putin has supported Assad’s denial of using chemical weapons and has used Russia’s veto in the Security Council to block a full investigation. His generals and diplomats have also threatened to shoot down any missiles sent in retaliation for the Douma attack and to target the sources from which the missiles were launched. What appears to be happening is that advisers around the President are still scratching their heads even to the point of expressing less than total conviction that there was a chemical attack in the first place. The US defence secretary, Jim Mattis, said on Thursday: ‘I believe there was a chemical attack and we are looking for the actual evidence’. Theresa May goes no further than saying ‘all the indications’ are that it was a chemical attack, though France’s President Macron claims to have ‘proof’. The real uncertainty, however, is about what effective action would consist of. After Thursday’s British cabinet meeting it was insisted that there had been ‘no decision to take military action at this point’. Nonetheless, as the Americans are reported (in Friday’s Times) to be sending ‘the biggest task force since Iraq’ towards Syria, it is safe to assume that the ‘challenge’ will take a military form, perhaps as soon as this weekend. It’s clear that the British government has agreed to participate if this is what happens. But many are arguing that the government first needs the say-so of the House of Commons. Jeremy Corbyn, the Leader of the Opposition, believes it is essential, with his close ally, the shadow home secretary, Diane Abbott, claiming it would be ‘outrageous’ not to consult Parliament first. The Father of the House, the former Conservative cabinet minister, Kenneth Clarke, agrees but Mrs May is resisting. Her supporters argue that under Crown prerogative powers the government can take such decisions on its own but the precedent of the 2013 vote (which defeated David Cameron) makes this harder to maintain than it used to do. If indecision in Washington persists over the weekend the House of Commons will have returned from recess before any action is taken and a debate is likely then anyway. Jeremy Corbyn is almost certain to oppose military action. He said on Thursday: ‘More bombing, more killing, more war will not save life. It will just take more lives and spawn the war elsewhere.’ But proponents of military action will argue that breaches of the Chemical Weapons Convention simply cannot go unchallenged if we are to prevent chemical weapons once again becoming a regular feature of warfare. What’s your view? Do you agree or not that Syria’s alleged use of chemical weapons ‘cannot go unchallenged’? Do you think any challenge needs to be military? How concerned are you that any western response could escalate into a military confrontation with Russia? And do you think the British government alone should decide whether or not Britain should participate, or do you think the House of Commons should decide?